FHFA is a regulatory agency responsible for ensuring that the GSEs, which help supply funds to lenders that finance loans for home mortgages, are financially sound. In 1932, during the Great Depression, Congress passed, and President Herbert Hoover signed into law, the Federal Home Loan Bank Act (Bank Act), which created 12 regional federal home loan banks to improve the supply of funds to local lenders that finance loans for home mortgages. In response to the U.S. savings and loan crisis of the 1980s Congress passed the Financial Institutions Reform, Recovery and Enforcement Act of 1989 (FIRREA) and created the Federal Housing Finance Board, as a replacement for the Federal Home Loan Bank Board. FHFB was given the responsibility of overseeing the FHLBank System. The system comprises 12 regional banks that are privately capitalized government-sponsored enterprises, located in Atlanta, Boston, Chicago, Cincinnati, Dallas, Des Moines, Indianapolis, New York, Pittsburgh, San Francisco, Seattle, and Topeka, with each serving a separate, non-overlapping district within the United States. FIRREA charged the Federal Housing Finance Board with ensuring that the FHLBanks operate in a financially safe and sound manner, and remain adequately capitalized to be able to raise funds in the capital markets. With the passage of FIRREA, Congress in 1989 also required each Federal Home Loan Bank to establish an Affordable Housing Program (AHP) to assist their members in providing funds for lower income individuals, including the financing of purchase, construction, or rehabilitation of projects in which at least 20 percent of the units would be occupied by, and affordable for, households earning 50 percent or less of the area median income. FHFB was structured to be managed by a five member Board of Directors, consisting of four individuals appointed by the President, with the advice and consent of the Senate, and one member coming from the Department of Housing and Urban Development. No more than three directors may be from the same political party, and the appointed directors must have experience or training in housing finance, or a commitment to providing specialized housing credit. In addition, at least one director must be from an organization with more than a two-year history of representing consumer or community interests in banking services, credit needs, housing, or financial consumer protections. In 2007 and 2008, the U.S. housing market plummeted, suffering its worst crisis since the Great Depression. Against that backdrop, on July 30, 2008, President George W. Bush signed into law the Housing and Economic Recovery Act of 2008. This Act gave birth to a new entity—the Federal Housing Finance Agency (FHFA)—through the merging of the FHFB with the Office of Federal Housing Enterprise Oversight (OFHEO) and the GSE mission office at the Department of Housing and Urban Development (HUD). FHFA assumed the regulatory powers of all three agencies, and gained expanded authority as well. With the GSEs losing billions of dollars as a result of the housing financial crisis, the FHFA placed the GSEs into conservatorship in September 2008, where they received a massive financial infusion from the U.S. Department of Treasury. As of March 2011, the Treasury had invested $154 billion into the GSEs, and estimates that the figure will have increased to between $221 billion and $363 billion in 2013. Additionally, the Federal Reserve has committed to purchase $1.25 trillion of the GSEs’ mortgage-backed securities. In April 2009, FHFA launched the Home Affordable Refinance Program (HARP), to aid people whose homes have lost value and risk going into foreclosure. The program was extended through June 30, 2012. In 2010, private-sector housing financing hit a rock-bottom 4 percent, while 96 percent of the mortgage market was completely government funded. As of September 2010, the total GSE debt and mortgage obligations equaled $6.7 trillion. FHFA supervises FHLBanks to see that they operate in a financially safe manner and remain adequately capitalized and capable of raising funds in the capital markets, to be able to provide long-term, flexible financing to their more than 8,100 member financial entities around the country. These are commercial banks, savings institutions, credit unions, and insurance companies that meet eligibility criteria and form a cooperative partnership that helps finance the country's urban and rural housing and community development needs, supporting community-based financial institutions and facilitating their access to credit. The FHFA staff includes accountants, attorneys, bank examiners, economists, financial analysts, information technology specialists, and management analysts. Among the specific functions performed by FHFA are on-site examinations of each FHLBank, as well as off-site monitoring, both to review each institution’s financial condition, risk management, and compliance with state and Federal laws and Finance Board rules and regulations. 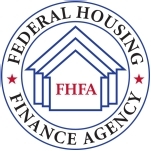 FHFA also probes to ensure the FHLBanks effectively and efficiently carry out their affordable housing and community investment program responsibilities, which include providing financial products and services to assist and enhance the financing opportunities of housing for consumers in lower income brackets. The Affordable Housing Program provides grants and interest-rates subsidies on loans to members, while the Community Investment Program for housing allows member banks and thrifts to borrow at a discounted rate of interest or obtain letters of credit from the FHLBanks. FHFA also analyzes financial, housing, and mortgage market developments that may affect the FHLBanks, to keep them prepared in advance for adjustments they may need to make based on outside occurrences, including adverse economic conditions such as high unemployment, increased foreclosure activity in areas affected by natural disasters or a declining economy, prolonged changes in interest rates, or predatory lending by any of their members. Since it was established in 2008, the FHFA has spent $25.2 million on 241 transactions, roughly 50 percent of which are for legal services, with the rest including such contracts as automated news and data, ADP software, and miscellaneous professional services. The FHFA got into a heated argument in May 2009 with mortgage giant Freddie Mac, which the Agency oversees, over whether to publicly disclose the full details of the company’s losses. The FHFA encouraged Freddie Mac to withhold information from a federal filing. This request apparently was done to keep the bailout of the company from appearing to grow in size. Freddie Mac executives refused to comply with the Agency’s request. The executives said that removing the information from the report to the Securities and Exchange Commission could expose them to accusations that they tried to hide important material from regulators. Meanwhile, in 2012, the watchdog group Judicial Watch sued the FHFA, saying the agency did not release information on private-label, mortgage-backed securities acquired from 17 banks. The lawsuit was part of a significant attempt to get the FHFA to be more transparent. After being bailed out by the federal government, mortgage giants Fannie Mae and Freddie Mac rewarded their executives with multimillion dollar compensation packages. The government agency that oversees Fannie and Freddie, the FHFA, did nothing to stop the payouts. The FHFA inspector general discovered that the top six executives at Fannie and Freddie received a combined $35.4 million in 2009 and 2010, while the companies were in federal receivership. About half of the money went to just two people—the CEOs of both companies: Charles “Ed” Haldeman of Freddie Mac and Michael Williams of Fannie Mae. Two congressmen proposed in May 2011 to do away with Freddie Mac and Fannie Mae and replace them with a new kind of entity: housing finance guaranty associations (HFGAs). Representatives John Campbell (R-California) and Gary Peters (D-Michigan), members of the House Financial Services Committee, introduced the Housing Finance Reform Act of 2011 that would authorize HFGAs to issue federally guaranteed securities backed by mortgages that meet defined underwriting standards. But the HFGAs themselves would not be federally guaranteed, as is the case with Freddie Mac and Fannie Mae. The bill also authorized the FHFA to issue HFGA charters to qualified applicants, with the hope that some new associations would target certain segments of the market, such as multifamily housing or a particular type of mortgage lender. HFGAs would be required to pay into a catastrophic reinsurance fund maintained by the FHFA, with fees based on a Government Accountability Office study. Seeking overhauls in the wake of the Freddie Mac and Fannie Mae bailouts, Republican lawmakers in the House proposed eight pieces of legislation in March 2011. One plan, by Rep. Judy Biggert (R-Illinois), would have expanded congressional oversight of Freddie’s and Fannie’s regulator, the FHFA. Under the bill, the FHFA’s inspector general would have had to submit quarterly reports to Congress during the conservatorship of the mortgage giants. Another bill, the GSE Mission Improvement Act, would have repealed the mandate on Fannie and Freddie to support affordable housing. Rep. Spencer Bachus (R-Alabama) offered up the Equity in Government Compensation Act, which would have suspended current compensation packages for Fannie and Freddie’s senior executives and replaced them with compensation packages similar to those enjoyed by senior employees in the federal government. Annual Budget: $197 million (FY 2013 Request) No appropriations are given to the Federal Housing Finance Agency (FHFA) as it is fully supported by assessments from the housing Government-Sponsored Enterprises (GSEs), which includes the 12 Federal Home Loan banks (FHLBanks), Fannie Mae and Freddie Mac. On January 6, 2014, longtime Congressman Mel Watt was sworn in as director of the Federal Housing Finance Agency (FHFA), the supervisory agency created in its current form in 2008 in response to the bursting of the housing bubble and subsequent financial crisis and Great Recession. FHFA is responsible for ensuring that Fannie Mae, Freddie Mac, and the 12 regional federal home loan banks, which help supply funds to lenders for home mortgages, are financially sound. Born August 26, 1945, in Steele Creek, North Carolina, to Evelyn Lucille (née Mauney) and Graham Edward Watt, Melvin L. Watt grew up in a house with no running water or electricity, and graduated from segregated York Road High School in Charlotte in 1963. One of the first black students at the University of North Carolina at Chapel Hill, where he was Phi Beta Kappa and president of the business honors fraternity, Watt earned a BS in Business Administration in 1967, and a JD at Yale University Law School in 1970, where he was on the staff of the Yale Law Journal. From 1970 to 1992, Watt practiced law in his hometown of Charlotte, specializing in minority business and economic development law at a general practice law firm known for its civil rights work, and also owned several small businesses. Watt earned his political stripes managing political campaigns for Harvey Gantt, a Democrat who served on the Charlotte City Council from 1974 until 1983, and was the first African-American mayor from 1983 to 1987. Watt also managed Gantt's two unsuccessful campaigns for the United States Senate, which he lost to Republican Jesse Helms. Watt's first run for office came in 1985, when he won a two-year term in the North Carolina Senate, announcing in 1986 he would not run for office again until his children had graduated high school. Six years later, Watt ran for and won a seat in the U.S. House of Representatives, representing North Carolina's 12th Congressional District as only the second African-American elected to Congress from North Carolina in the 20th century. Serving in Congress since 1992, Watt has been a member of the House Financial Services Committee, which has jurisdiction over the banking and finance industry, and on its Capital Markets and Government Sponsored Enterprises Subcommittee and the Financial Institutions and Consumer Credit Subcommittee. Watt has also been a member of the House Judiciary Committee, and the ranking member of its Intellectual Property, Competition and the Internet Subcommittee. He served as chairman of the Congressional Black Caucus from 2005 to 2006. Watt's work on the Finance Committee and his reliance on contributions from the banking industry to fund his political campaigns have generated criticism. Since he entered Congress in 1992, Watt has received more campaign money—$1.33 million—from financial interests than any other industry or special interest, according to the Center for Responsive Politics, a nonprofit research group that tracks money in politics. Not only does that represent 24.3% of his total fundraising over the years, but the number has been closer to 45% in recent years. Critics charge that Watt's financial dependence on the finance industry and his cozy relationship with Bank of America have led him to be more less consumer-oriented on related issues. They point to his active role in 2009 in gutting and then killing the Federal Reserve Transparency Act, which would have forced an audit of the Federal Reserve, to his support of the Stop Online Piracy Act (SOPA), and his attempt to cut funding to the Office of Congressional Ethics after it investigated him for an ethics violation regarding campaign contributions from the finance industry. Watt’s confirmation as FHFA chief was drawn out. He was nominated by President Barack Obama on May 1, 2013. By the middle of July, the nomination had been approved by the Senate Banking Committee and was sent to the full Senate. However, on October 30, 2013, Republicans filibustered Watt’s nomination, as they had many other Obama nominees. Watt was the first sitting member of Congress since 1843 to have his nomination voted down. Senate Majority Leader Harry Reid invoked the “nuclear option,” changing rules for blocking nominees so that a only simple majority was needed for approval. Under the new rules, Watt was approved by the Senate on December 10, 2013. He quickly acted after taking office to widen access to home loans. A life member of the NAACP, Watt has served as president of the Mecklenburg County Bar and has been a member of many professional and community organizations. Before retiring from baseball in 2008, Watt was the starting pitcher for the Democratic baseball team in the annual Congressional Baseball Game and was named most valuable player in 1995, 1996 and 2000. Mel Watt is married to Eulada Paysour Watt, an educator, and they have two sons, Brian and Jason. 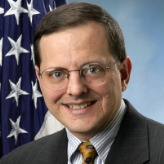 Edward J. DeMarco has served since September 1, 2009, as acting director of the Federal Housing Finance Agency (FHFA), which regulates Fannie Mae, Freddie Mac and the 12 Federal Home Loan Banks. DeMarco attended college at the University of Notre Dame, where he received his Bachelor of Arts in economics. He received his PhD in economics from the University of Maryland. His first job for the federal government was with the General Accounting Office (later renamed the Government Accountability Office), where he worked for seven years. DeMarco then moved to the Department of the Treasury to serve as director of the Office of Financial Institutions Policy. In this role he oversaw analyses of public policy issues involving government-sponsored enterprises and other financial institutions. In 2003, he took a position with the Social Security Administration as assistant deputy commissioner for policy, leading the agency’s policy, research and statistics functions. DeMarco joined the Office of Federal Housing Enterprise Oversight in October 2006 as its chief operating officer and deputy director. Two years later, the office was converted into the Federal Housing Finance Agency, and DeMarco became COO and senior deputy director for housing mission and goals for FHFA. DeMarco is married and has four children.